4 Piece Beach Accessory for Miniature Fairy Gardens - EXCLUSIVE. 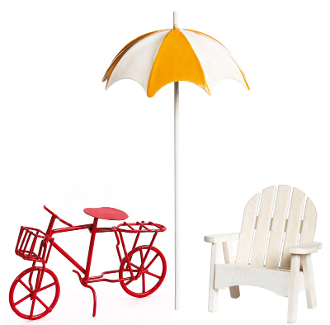 Set includes adirondack chair, beach umbrella, red bike, and landscape spinner. Size: 4 x 4 x 7.